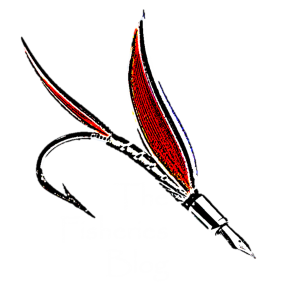 As many celebrate the most important holiday in the Christian religion, Easter, The Fisheries Blog takes the opportunity to ponder the importance of fish as a religious symbol. Fish are economically, socially, and ecologically important across the globe. Consequently, it’s not surprising that they figure predominately in many of the world’s major religions. Below is a short list of fish featured in religion. As this is an uncomprehensive list, please feel free to add additional details or examples as comments at the bottom of this post. The Ichthys is an important identification symbol in Christianity. 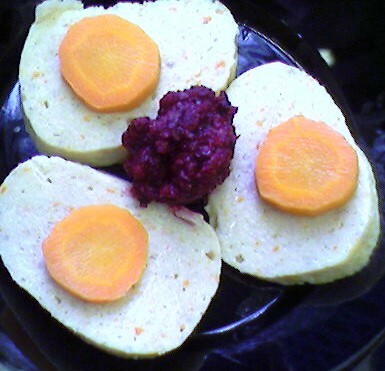 Gefilte fish is a traditional dish served by Ashkenazi Jews. The symbol of the fish plays an important part in Judaic traditions as well. Many parables in the Torah affiliate fish with the Jewish people. Because of their great fecundity (in general, fish produce innumerable eggs), the fish became a symbol of fertility and luck. Sephardi Jews use the fish symbol to ward off the Evil Eye. Fish is a traditional food for Rosh Hashanah, the Jewish New Year, because it is custom to eat foods that represent good fortune for the new year. Gefilte fish, for example, is a dish commonly served by Ashkenazi Jews. In Arabic, the letter ‘N,’ pronounced ‘nun’ is the word for fish. According to the Quran, the fish is a symbol of eternal life and also of knowledge. Similar to Jews, Muslims are instructed to only eat fish with scales, and not fish lacking scales. In Muslim tradition, Al-Khid is known as the guide of Moses and Alexander the Great. 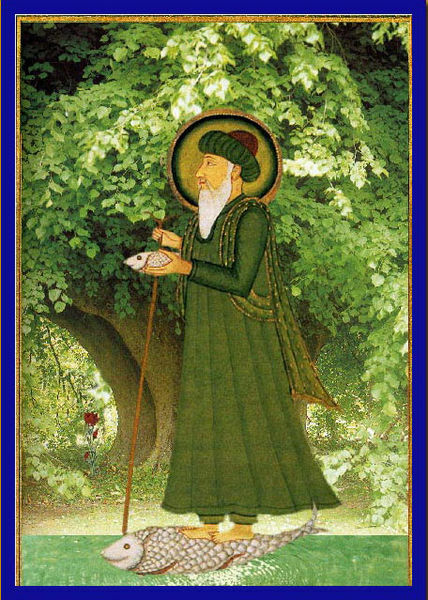 He is often depicted as riding on the back of a fish over the “River of Life.” In one tale, Moses claims to be the most knowledgeable man on earth but God corrects him and commands him to take a salted fish and seek Al-Khidr – when the fish comes back to life, he will meet his guide, Al-Khidr. Matsya, a fish, is the first incarnation of Vishnu on Earth. Many Hindu groups follow a strict vegetarian diet, so most do not eat fish. However, a fish is central to a key creation story in the Hindu sect of sect of Vaishnavism. Vishnu, the Supreme God of the Vaishnavism, had ten different avatars, or incarnations, on Earth. 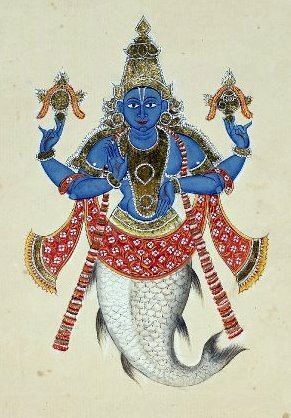 His first avatar, Matsya, is often depicted as a fish or half man-half fish. Legend holds that Matsya appears to Manu as a small fish and asks for protection. In return, he promises to help him survive a great flood. Matsya grows under Manu’s care and eventually Manu releases him into the ocean. When the epic flood comes, Matsya guides Manu’s boat to safety. When the flood subsides, Manu realizes he is the only survivor and charged with repopulating the human race. The golden fish are one of the eight auspicious signs of Buddha. In Buddhism, Ashtamangala are eight auspicious signs of Buddha. 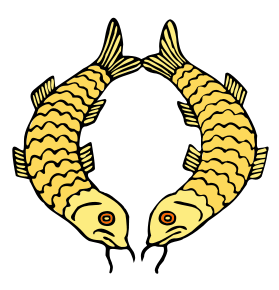 Two golden fish comprise one of these auspicious symbols. Legend holds that these signs represent the offerings that the gods made to Buddha after his enlightenment. The golden fish were originally associated with the Ganges and Yamuna Rivers, the two most sacred rivers in India. They represent living in a state of fearlessness, happiness, and fertility. As fish swim in water without fear of drowning, Buddha has no fear of drowning in the suffering cycle of Saṃsāra. Special thanks to Patrick Cooney for introductory research that informed this post. Please feel free to add additional examples or details regarding fish in faith as comments below. Follow these links to follow us on Facebook or Twitter (@FisheriesBlog). Under Christianity: besides being derived from the Greek word for fish, the word “Ichthys” is also an acronym in Greek for “Jesus Christ Son of God Savior,” which may be one reason it was used in the early church. Mat_4:19 And he saith unto them, Follow me, and I will make you fishers of men. A direct quote from Jesus.